The International Images Film Festival for Women (IIFF) has been described as the most important festival in Zimbabwe by The Namibian Weekender on January 23, 2009. IIFF was founded in 2002 by Women Filmmakers of Zimbabwe in response to the proliferation of beauty contests at that time. Each year, a selection of films is featured to interrogate, debate and celebrate the resilience of women against many odds and nevertheless their contribution to society and history. This year, the festival will take place on November 23 to December 1 in Harare, December 6 in Bulawayo. December 7 in Gwanda and December 13-14 in Binga. The theme for 2012 is WOMEN ALIVE. The theme portrays among other things, the agency of women in society and the ways in which women survive under and inspirationally rise above the most brutally repressive and poverty stricken conditions. The theme celebrates women's agency in transition and recognises the positive, peace-building change that individual women can bring to their homes, communities and nations. The theme engages with the United Nations’ Millennium Development Goal (MDG) number 3, promoting gender equality and empowering women, in relation to all the other MDGs. Questions to be considered under this theme are if indeed the rhetoric of investing in women has been turned into real advancement of women in society or just a promise that remains on paper. Also considered is the threats from all kinds of violence from domestic to militaristic and how women overcome these threats in order to stay alive themselves, and to keep others alive in the home, the workplace, the public space and the world. While the film should have all the attributes of good cinema, including good production values and entertainment value, it should also show some analysis of the woman or women featured. Production date is irrelevant, but the film must have a woman in lead role. Ideally the film should be witty and humorous, featuring women who are not afraid to push boundaries in their quests, women who embrace the principles of extreme leadership. 35 millimetre feature films are automatically admitted into the main competition. This is because technical faults frequently occur with DVDs. DVD and tape features, shorts and documentaries, are also programmed in other categories. Please fill in the application form and return it to the Festival Director whose details are below. Yvonne Jila, The Festival Director, IIFF, Box BW 1550, Borrowdale, Harare. 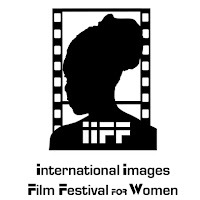 Le Festival de Film International d’Images pour les Femmes (IIFF) considéré comme le plus important festival du Zimbabwe par le journal le « Nambian Weekender », a été fondé en 2002 par des femmes cinéastes du Zimbabwe en réponse à la prolifération des concours de beauté à cette époque. Chaque année, la projection des films sélectionnés a pour objectif d'interroger, de débattre et de célébrer la résilience des femmes qui, malgré de nombreux obstacles, contribuent à la société et l'histoire. Cette année, le festival aura lieu le 23 novembre au 1er décembre à Harare, le 6 décembre à Bulawayo, le 7 décembre à Gwanda et le 13 au 14 décembre à Binga. FEMMES VIVANTES, le thème pour 2012, représente entre autres, la potentialité des femmes dans la société et les façons dont elles survivent et surmontent la pauvreté et les conditions les plus brutalement répressives. C’est une célébration de l’évolution de cette potentialité reconnue comme positive, une célébration de la consolidation de la paix dont les femmes peuvent apporter dans leur maison, leurs communautés et à la nation. Le thème s’engage avec le troisième des objectifs de l'Organisation des Nations Unies Millénaire pour le développement (OMD) : la promotion de l'égalité des sexes et l'autonomisation des femmes, en relation avec tous les autres OMD. Les questions à prendre en considération sous ce thème : Est-ce que la condition de la femme dans la société été transformée ? Comment surmonter les menaces de toutes sortes de violences contre les femmes—domestiques et militaristes—afin qu’elles, au foyer, au travail, dans les espaces publics, et dans le monde entier, restent en vie ? Le film devrait avoir tous les attributs de qualité, y compris les valeurs de production ainsi que du divertissement. La date de production n'est pas importante, mais la protagoniste du film doit être une femme et le film devrait montrer une certaine analyse de la femme dans son rôle. En principe, le film devrait être plein d'esprit et d'humour, mettant en vedette des femmes qui sont prêtes à repousser les limites dans leurs quêtes, qui prennent les risques et se confrontent volontiers aux défis. 35mm longs-métrages sont d’emblée admis à la compétition principale, pourtant, dû aux frequents problèmes techniques concernant le visionnement des DVD, tous les films de ce format sont programmés dans d'autres catégories. Pour mettre en valeur votre profil dans le catalogue du festival veuillez fournir un kit de presse et des photos du film à l'adresse mail du siège du festival ci-dessous avant la date limite du 30 septembre. Veuillez remplir le formulaire de demande et l’envoyer à la directrice du Festival, dont les coordonnées sont ci-dessous. La date limite pour confirmer des entrées du film est le 31 août 2012. Annette Kouamba Matondo’s portrait of artist Sylvie Diclo Pomos is also cathartic. Recalling the Case of the Beach Disappearances, the duty of memory is at the same time a means to liberate her from her ghosts. Annette, could you talk a bit about how you came to filmmaking? I think it was meant to be. When I first received Rufin Mbou’s email correspondence about the call for projects for the Talents of Congo, I did not respond immediately because I was already involved in a journalism workshop with the Syfia International agency. But thanks to Rufin’s encouragement, I embarked on this adventure drawing from an initial work that I had presented to AfricaDoc in 2008. So I wrote to François Fronty, the cameraman of the project, and since he was located in France, we started to work together via the Internet. I admit that at the beginning I struggled to follow. François reminded me whenever I was too deep into the skin of a journalist that I had to get rid of this hat in order to wear that of the director. A difficult stage, but I think that having worn both these hats enabled me to create two productions of which, though with some technical imperfections, I am rather proud. In your film, One does not forget one forgives, you begin by reading out loud to Sylvie Diclo Pomos, and of course, to the viewers, your intentions for making the film: to recall the Case of the Beach Disappearances in order to remember, because too often there is a tendency to forget. Sylvie Diclo Pomo’s play “Janus’s Madness” is the point of departure of the story and it is through her work and experiences that the film unfolds. At the end, the film plays a cathartic role for you. Why did you choose to focus on the Case of the Beach Disappearances and to tell the story in this way? Initially it was to be a portrait of Sylvie the artist, and then the film changed dramatically. It was not intentional. At a point during the shooting I began to ask myself questions and I found the answer at the end of the film. I had not mourned my sister’s death. The Case of the Beach Disappearances is a tragedy that touched a lot of Congolese. Many have not yet mourned and even continue to hope for the return of their family members, others are completely devastated. But the most depressing of all is that there was a trial, and all of the accused were acquitted. Even now I cannot really say why I cried at that moment in the film. There were emotions that cannot be controlled. I thought I had forgotten, but no, there, all the past that I had buried away somewhere in my mind resurfaced. At first I did not want to put this part of my life in the documentary, it is a private part of life. But this moment expresses the real question of forgetting. Can one really forget or does one pretend to forget, thus the title, One does not forget one forgives. In this sense I fully agree with Sylvie, that it is necessary to talk, to question, in order not to make the same mistakes. One has the impression to have mourned but there are certain ghosts that are difficult to eliminate. The only therapy that remains is dialogue, sharing those fears, those problems. I think that it is a first step of a long therapy, and I am on the right path to healing. My narrative at the start of each sequence is for me, a travel diary, in order to seize those intense moments and share them with everyone. What is the history of the Case of the Beach Disappearances and its impact on Congolese society? In 1999, in an effort towards peace after the civil war, president Denis Sassou Nguesso announced a national reconciliation, signing accords with the Democratic Republic of the Congo and the UNHCR [The United Nations High Commissioner for Refugees] for the return of refugees that had fled the civil war to take refuge in Kinshasa. Under the supervision of the UNHCR, the first return of families (adults, women and children) took place via the “Beach crossing” (the river ferry between Brazzaville and Kinshasa), which involved around 1,500 people. According to sources, the moment of their return to Brazzaville these people were arrested and dispatched by convoy to camps or to the presidential quarters. From that moment all traces of them have been lost. Some rumours tell of people being piled up alive in containers that were then sealed and dumped into the river. The number of those who disappeared has been estimated at more than 300 people. After the tragedy, there was a trial that did not establish any facts and to the disappointment of the families, the presumed guilty were acquitted, while other families received compensation. At the present the families are still unaware of what really happened during the crossing and continue to wait for justice: God’s. For Sylvie Diclo Pomos, every Congolese is family, and thus the importance of writing the play. In the film one witnesses the strength of Sylvie Diclo Pomos, who is at the same time very caring. Who is this woman that you portray in your film? Saying very little at first contact, Sylvie bursts out on stage. Actress, author, director, she is one of the rare female artists in the Congo who dares denounce the ills that plague Congolese society, meeting the existing authorities head-on and laying open on the public square, taboo subjects such as the Case of the Beach Disappearances, which is the focus of “Janus’s Madness”, or challenging journalists in the “The Boss’s Griots”. In this piece, her alert and candid pen is a weapon. Sylvie lights up the stage, careful not to lock herself in simplistic roles. A free woman, thoughtful mother, brilliant actor, and politically committed writer, here is the image that I have of this artist who I admire immensely. To note, shortly she will be in France, in Avignon the 19 to 25 July and in Limoges the 27 September to 6 October. The title of the film, in fact, is Sylvie Diclo Pomos’ response to you when in an unexpected moment at the end of the film you express the pain of remembering. This film allowed you to “liberate myself from my ghosts.” How have the Congolese public responded to the film? Has it been catharthic for them as well? There have been two screenings in Brazzaville at the French Institute but it has never been broadcast on television as have the other documentaries produced in the Talents of Congo series. Yes, I think that the film has allowed several people to be able to mourn the deaths of their loved ones. Everyone who has seen it has been affected by it. I really do think that speaking liberates and this film has loosened the tongue, especially during organised discussions after the screenings. 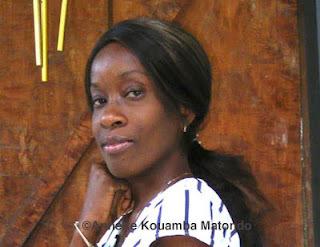 Interview with Annette Kouamba Matondo and translation from French to English by Beti Ellerson, June 2012. Le portrait de Sylvie Diclo Pomos par Annette Kouamba Matondo est aussi cathartique. De se rappeler de l’Affaire du Beach, un devoir de mémoire est en même temps un moyen de se libérer de ses fantômes. Annette, une petite biographie de toi pour élaborer comment tu es venue au cinéma. Je pense que c’est un coup du destin. Quand j’ai reçu la première fois le mail de Rufin Mbou sur l’appel à projet des talents du Congo, je n’ai pas répondu immédiatement car j’avais une formation sur l’écriture journalistique avec l’agence Syfia International. Mais grâce aux exhortations de Rufin, je me suis lancée dans cette aventure, en m’inspirant d’un premier travail que j’avais présenté à AfricaDoc en 2008. J’ai donc écris à François Fronty l’encadreur du projet et on a commencé à travailler avec ce dernier via le net étant donné qu’il se trouvait en France. J’avoue que j’ai eu du mal au départ à suivre la marche. François me rappelait chaque fois que j’étais trop dans la peau du journaliste et qu’il fallait que je me débarrasse de cette casquette, pour porter celle de la réalisatrice. Une étape difficile, mais je pense que les deux casquettes ont donné naissance à ces deux réalisations qui techniquement ont des choses à revoir mais dont je suis assez fière. Dans ton film, On n’oublie pas on pardonne tu commences en lisant à voix haute l’intentions pour la réalisation du film à Sylvie Diclo Pomos, et bien sûr, à tes spectateurs : se rappeler de l’Affaire du Beach pour s’en souvenir parce que l’on a trop souvent tendance à oublier. « La folie de Janus » de Sylvie Diclo Pomos est le point de départ de l’histoire du film qui se déroule à travers son œuvre et ses expériences. Pour toi à la fin, le film joue un rôle cathartique. Pourquoi l’Affaire du Beach ? Et pourquoi cette approche pour la raconter? Au départ, il s’agit du portrait de l’artiste Sylvie, puis le film a basculé. Ce n’était pas intentionnel. À un moment du tournage, j’ai commencé à me poser des questions et j’ai trouvé la réponse à la fin de ce film. Je n’avais pas fait le deuil de ma sœur. Et l’Affaire du Beach est drame qui a touché plus d’un Congolais. Beaucoup n’ont pas encore fait le deuil et espèrent même le retour de certains membres de leurs familles, d’autres se sont affolés, mais le plus déprimant est qu’il y a eu procès, et tous les préjugés coupables ont été acquittés. Aujourd’hui encore je ne peux pas vous dire pourquoi j’ai pleuré à ce moment. Il y a des émotions qu’on ne contrôle pas, je croyais avoir oublié et non, voilà que tout le passé que j’avais enfoui quelque part dans mon cerveau a rejailli. Au départ je ne voulais pas mettre cette partie de ma vie dans le documentaire, c’est une partie de vie privée. Mais cette partie exprime la véritable question de l’oubli. Peut-on réellement oublier ou fait-on exprès d’oublier. D’où ce titre, « on n’oublie pas on pardonne », en ce sens je suis entièrement d’accord avec Sylvie, qu’il faut parler, interpeller pour qu’on ne puisse plus tomber dans les mêmes erreurs. On croit avoir fait le deuil, mais il y a certains fantômes dont on a du mal à se débarrasser. La seule thérapie reste le dialogue, partager ses soucis, ses problèmes. Je pense que c’est une première étape d’une longue thérapie, et je suis sur la bonne voie vers la guérison. Les récits que je commente au début de chaque séquence sont pour moi comme un carnet de voyage pour me saisir des moments forts et les partager, ces instants, avec tous les gens. Qu’est-ce c’est l’histoire de l’Affaire du Beach et ses conséquences dans la société congolaise ? En 1999, dans un souci d'apaisement après la guerre civile, le président Denis Sassou Nguesso annonce la réconciliation nationale. Il signe des accords avec la République Démocratique du Congo et le HCR [Le Haut Commissariat des Nations unies pour les réfugiés] pour le retour des réfugiés qui avaient fui la guerre civile en se réfugiant à Kinshasa. Le premier retour de familles (adultes, femmes, enfants) a lieu par la « traversée du Beach » (navette fluviale qui effectue les liaisons Brazzaville et Kinshasa), et comprend environ 1500 personnes, sous le contrôle du HCR. Ces personnes sont interpellées dès leur arrivée à Brazzaville, et acheminées par convois dans des camps ou vers la Présidence selon les sources. À partir de ce moment, toute trace de ces personnes est perdue. Certaines rumeurs parlent de personnes entassées vivantes dans des containers, qui auraient été soudés et jetés dans le fleuve. Le nombre des disparus étant chiffré à plus de 300 personnes. Après ce drame, il y a eu procès qui n’a établi aucun fait au grand désespoir des familles qui ont vu les soi disant coupables être acquittés et certaines familles être indemnisées. Aujourd’hui, ces familles ignorent toujours ce qui s’est réellement passé lors de cette traversée, elles désormais attendent une justice, celle de dieu. Pour Sylvie Diclo Pomos, tous les Congolais sont parents, donc, l’importance d’écrire cette pièce. Dans le film, on aperçoit la force de Sylvie Diclo Pomos une femme qui est aussi très généreuse, chaleureuse. Qui est Sylvie Diclo Pomos? Peu bavarde au contacte, Sylvie explose sur scène. Comédienne, auteur et metteur en scène, elle est l’une des rares femmes artistes au Congo a osé dénoncer les maux qui minent la société congolaise, titille les autorités en place, et étale sur la place publique les sujets tabous comme l’Affaire du Beach dans la « Folie de Janus » ou en s’attaquant aux journalistes dans les « Les Griots du Boss ». Sa plume alerte et crue est une arme. Sylvie illumine les planches et fait attention à ne pas s’enfermer dans des rôles réducteurs. Femme libre, mère attentionnée, comédienne brillante et auteur engagé, voilà l’image que j’ai de cette artiste que j’admire énormément. D’ailleurs elle va se produire d’ici peu en France à Avignon du 19 au 25 juillet et à Limoges du 27 septembre au 6 octobre. Le titre, On n’oublie pas on pardonne, vient de la réponse que Sylvie Diclo Pomos t’a faite à la fin du film quand tu exprimes avec émotion ce que la réalisation du film a provoqué dans toi-même : « de me libérer de mes fantômes, de ce passé-là ». Quelles sont les réactions des Congolais ? Est-il aussi cathartique pour eux ? Il y a eu deux projections au niveau de Brazzaville à l’Institut français, mais il n’est jamais passé à la télévision comme les autres documentaires produits dans la série Talents du Congo. Oui, je pense que ce film a permis à plusieurs personnes de faire le deuil sur leurs morts. Ceux qui l’ont vu se sont tous sentis concernés et sincèrement je pense que la parole libère et ce film à délier les langues notamment lors des débats organisés à la suite des projections. Entretien avec Annette Kouamba Matondo par Beti Ellerson, juin 2012. Bronwen Pugsley recently completed her doctoral studies at the University of Nottingham in the UK. In a interview with Beti Ellerson she talks about her thesis “The Practice of Documentary: Filmmaking by Women in Sub-Saharan Africa” elaborating on the choice of theme, methodology, theoretical framework and her findings. Bronwen, how did your interest evolved into your current research in African women in cinema? I first became interested in African screen media when I was a Master’s student, researching African women’s writing. This was already the subject of much scholarly work and constituted a discipline in its own right, but I observed that the same could not be said for African women’s cinematic work, in particular their documentaries. I was intrigued by this discrepancy and watched a selection of their films, which I found to be both extremely engaging and skilful. My doctoral thesis was therefore born of the contrast between the wide range of African women’s documentaries and the limited critical attention they had received. The scope and limitation of the study was Francophone African women filmmakers. Why this choice? I decided to write about the documentary work of African women because scholarship and criticism had focused disproportionately on the fiction films of their male counterparts. This gender and genre bias wrongly suggests that these women’s documentary films are somehow less interesting or challenging. This was very different from my own observations and so it became important to reclaim these disregarded films for academic interest. I chose to focus on Francophone sub-Saharan African countries because of what they have in common in terms of the origins and current conditions of filmmaking. I wanted to explore the range of documentary practices that had developed within this specific postcolonial space. You chose fifteen films by Francophone sub-Saharan African women filmmakers, ranging from 1975 to 2009, what were the factors in your choice of films? One of my objectives was to shed light on some of the major trends and evolutions within documentary filmmaking by women from Francophone Africa. I therefore included in the corpus films from the 1970s by the pioneer Safi Faye; films from the 1990s by Anne Laure Folly; and others, made around the turn of the twenty-first century, by Angèle Diabang, Katy Léna Ndiaye, Khady Sylla, and Rama Thiaw for example. These more recent films dominated my corpus because I felt it was essential to discuss documentaries that had received little or no academic attention. Sadly, availability was also a determinant factor, since not all documentaries by African women are released in cinemas, broadcast on television, or distributed commercially. What were your research question and premise? The overall aim of my doctoral project was to uncover the diversity of documentary voices by African women and demonstrate that their films are formally innovative, radical, and politically challenging. These filmmakers reclaim the responsibility of representing African narratives and experiences, and seek to challenge Westerners’ preconceptions of Africa and Africans, as well as the texts that have shaped these expectations. Their films challenge our knowledge of African social issues and cultural phenomena, as well as our expectations of documentary itself. They invite questions about how information can be conveyed to the viewer, how audiences can be engaged, and also draw attention to the elusiveness of the boundary between fiction and fact. I chose to carry out close textual readings of the films to bring into focus questions of form. Many studies of African women’s documentary work engage primarily with questions of content, which is undeniably useful but also overlooks the films’ aesthetic properties in favour of what they convey about African cultures and societies. Because the films in my corpus are documentaries, that is to say films that appear to offer their audiences a direct access to the real, this is a problem that affects them more than other types of screen media. I wanted to shift the focus towards questions of documentary form, to show that the filmmakers engage and experiment with style and aesthetics, and that, in so doing, they reinvent the conventions of documentary filmmaking. The documentary has been the dominant genre of African women since their emergence in cinema. What were your findings in terms of trends and tendencies during the four decades? Documentary continues to be a favourite medium of cinematic expression for Francophone sub-Saharan women. This can be partly explained by the fact that documentary is more affordable than fiction, and therefore more accessible in a context where funding opportunities are limited. Documentary is also a powerful tool for addressing social or political issues, and was mainly used as such up until the late 1990s. 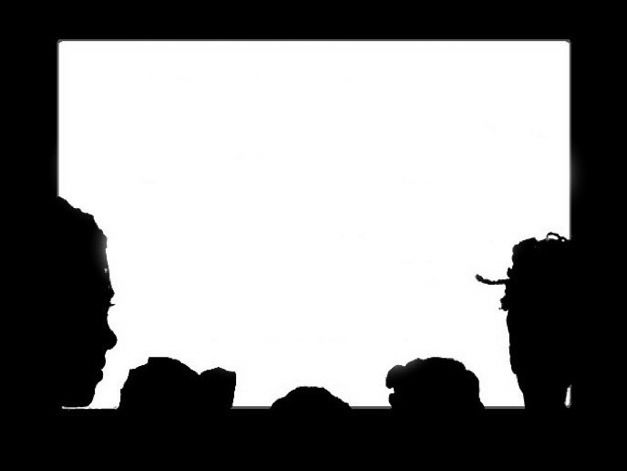 Around the turn of the century, we witnessed a partial shift from social to cultural phenomena, as African women filmmakers started making ethnographic films of a new kind: their approach to anthropology is often formally and politically reflexive rather than scientific, and they use cultural phenomena to construct a discourse. Around the same time, there was a clear rise of the personal, as filmmakers appeared increasingly in the voice-over and on screen, and shaped films that reflected their subjective perspectives. This has led to the emergence of an autobiographical genre, with films by Alice Diop, Monique Phoba Mbeka, and Khady Sylla, for example. This evolution towards the personal is particularly interesting to compare with the work of women writers from Francophone sub-Saharan Africa, who began by publishing literary autobiographies in the 1970s and subsequently moved away from personal narratives to produce more outwardly focused literary works. Within the documentary genre have you discerned specificities in theme, approach, attitude? There are many striking commonalities between the documentary films of Francophone sub-Saharan Africa women. Many of them consciously write against the grain of a Western gaze and strive to offer engaging analyses of complex personal and collective issues. Their films are often highly personal and draw attention to the subjective nature of representation. It is clear that they turn to documentary as a result of a personal interest, and sometimes even out of necessity: there is a therapeutic dimension to some of these documentaries. Many of their films are socially, culturally, and/or politically committed, but instead of focusing on anonymous and helpless victims of extreme hardship, as Western films about Africa often do, these filmmakers innovate by bringing to the screen everyday experiences. They also prefer to focus on individuals rather than the group and, in so doing, bring the viewer closer to the lived experience. They are nevertheless careful to avoid intrusion and it is apparent that they seek to make films with, and sometimes for, their subjects, rather than simply about them. Finally, there is an effort to depart from the didactic, since they privilege open and sometimes abstract textual strategies, which empower the viewers and invite them to do the interpretive work. African women filmmakers come to cinema from various disciplines and backgrounds; do you find these varying experiences to have influenced their theme, approach, cinematic sensibility? How would you frame this interdisciplinarity? The filmmakers’ respective professional backgrounds are clearly influential in shaping their documentary practices. For example, those with experience in journalism, such as Oswalde Lewat-Hallade and Katy Léna Ndiaye, view cinema as an extension of, rather than a break with, reporting. Their documentary practices are characterised by an investigative impulse, which encourages them to travel into social and cultural spaces that are foreign to them. On the other hand, Safi Faye, whose background is in anthropology, makes films that are strongly inflected with her interest in ethnology. Her early films broke with the codes and conventions of traditional ethnography by initiating a form of indigenous ethnofiction that remains inspirational to this day. Another notable approach to film is that of the writer Khady Sylla, whose documentaries, like her published novel Le Jeu de la mer (1992), privilege formal creativity. In Une Fenêtre ouverte, for example, she uses cinematic imperfections, such as overexposed footage, to convey her experience as a sufferer of mental illness. Safi Faye has insisted on the non-distinction between documentary and fiction in her work. Did you find similar attitudes during your research? How widespread is this notion? Interestingly, although Safi Faye dismisses the notion of distinct strands of filmmaking separated by inflexible boundaries, she doesn’t refute the actual existence of documentary or fiction as genres. Rather, she seems to interrogate how they are best defined and suggests that there may be points of interaction between them. This attitude is relatively widespread and other high-profile filmmakers, such as Valérie Kaboré, Fanta Régina Nacro, and Khady Sylla, have produced films that exploit both documentary and fiction, and play on their points of departure and synergy. Their docufictions sustain the notion that documentary and fiction operate on a continuum, and deconstruct the reductive dichotomy that opposes these media on the basis of their respective claims on the real, production methods and techniques, and the viewing experiences they provide. It is much more useful to consider, as these filmmakers do, that each individual text constructs relationships with both factual and fictional discourses. There is a blurring of boundaries as women tackle issues beyond their home countries and as African women in the Diaspora deal with concerns relevant to the country in which they reside and or are citizens. Some reflections on these tendencies and themes? It is interesting that the first film made by a woman filmmaker from Francophone sub-Saharan Africa, Thérèse Sita-Bella’s Un Tam-tam à Paris (1963), was the product of an encounter, since it chronicled Cameroon’s National Dance Company’s Paris tour. Since then, African women have used their films to traverse cultural, linguistic, or gender barriers. These films often position their directors as insiders and outsiders to the spaces into which they travel. For example, in Les Sénégalaises et la Sénégauloise (2007), Alice Diop is both a family member and a cultural outsider to her relatives living in Dakar. Likewise, in En attendant les hommes (2008), Katy Léna Ndiaye emphasises her cultural otherness but also manages to establish with her subjects a close contact based on gender. These examples, I believe, suggest that many African women documentary filmmakers seek shared experiences that could transcend otherness. Overall reflections on the future of African women and the documentary? Although the cinematic work of African women remains on the margins of global filmmaking, it is gaining in visibility and popularity, as is evidenced, for example, by the recent ‘Women and Film in Africa’ conference (University of Westminster, London, 19–20 November 2011). This trend will hopefully crystallise as digital technologies become widely available. These have already been credited with energising global documentary making, as they enable filmmakers to experiment with new styles, subject matters, and notions of authorship. In particular, recent technological evolutions provide filmmakers with the means to shoot, edit, distribute, exhibit, and advertise films at much lower costs; this foreshadows new possibilities for the future of African women’s filmmaking. Interview with Bronwen Pugsley by Beti Ellerson, June 2012. Bronwen Pugsley qui vient de terminer ses études du troisième cycle à l'Université de Nottingham au Royaume-Uni discute avec Beti Ellerson de son choix de thème, son approche et méthodologie, et ses conclusions sur sa recherche sur les réalisatrices d'Afrique subsaharienne francophone et leurs œuvres documentaires. Africa Rising: The Grassroots Movement to End Female Genital Mutilation a documentary by Paula Heredia to broadcast on The Africa Channel Monday 11 June 2012 at 20h EST. Every day, 6,000 girls from the Horn of Africa to sub-Saharan nations are subjected to female genital mutilation (FGM). With fierce determination and deep love for their communities, brave African activists are leading a formidable, fearless grassroots movement to end 5,000 years of FGM. An insightful look at the frontlines of a quiet revolution taking the continent by storm, this extraordinarily powerful film is one of the first to focus on African solutions to FGM. Le London Feminist Film Festival (Festival du film féministe de Londres) aura lieu en novembre 2012. Le festival a pour but de mettre en lumière une sélection de films réalisés par les femmes du monde entier pour contrebalancer la représentation très limitée des femmes dans le cinéma dominant, dont les vrais problèmes concernant ces dernières sont masqués. Les films seront féministes dans leur représentation des femmes et / ou à leur manière d’aborder les questions féministes. Date limite : 31 août 2012. Les réalisatrices de tous pays peuvent s’inscrire. Les films doivent d’aborder les questions féministes et / ou être féministes dans leur représentation des femmes. Il n’y a pas de limitation de longueur ni de genre. Les films non-anglophones doivent êtres sous-titrés en anglais.